Hello, Sarah Albee! Welcome back to Watch. Connect. Read.! It is always a good day when you drop by to celebrate books. Sarah Albee: Thanks Mr. Schu. It’s SO nice to be back here. North America: A Fold-Out Graphic History is one of the most uniquely-designed books I’ve ever seen. I know kids are going to love folding out an eight-foot continuous work of art filled with facts. Sarah Albee: I know, right?? I first saw the format at a nonfiction conference. The presenter was showing the season’s latest NF books and asked for an assistant to help her unfold one of these concertina-style formats. I leapt out of my seat to volunteer. As we pulled it out to show the audience, I remember thinking, “Wow this is so cool. It would be really fun to write one of these.” And soon after that, the editor at What On Earth Books called me up! In an email message to me, you shared how you’re ready to go on Jeopardy after creating North America: A Fold-Out Graphic History. If given the opportunity, what are 5 categories you would submit to Jeopardy to include in episodes? · … Inuit open-boat fishing techniques for two hundred. · …Cruel Conquistadors for four hundred. · …The Haudenosaunee Confederacy for six hundred. · … Aztec fashion for eight hundred. · … Pirates of the Caribbean for a thousand. And Ken Jennings: I am ready to take you on!!!! 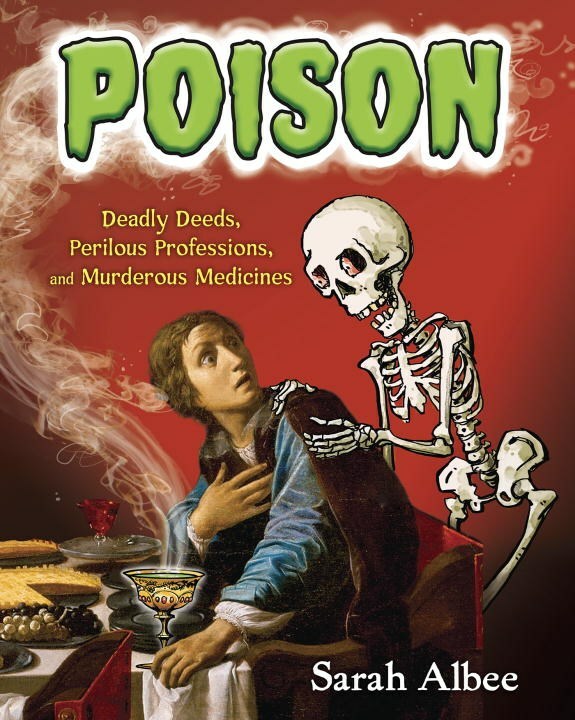 William Exley’s illustrations are ingenious. I thought I faced challenges, trying to sum up thirty thousand years of complicated history in about two hundred short written entries. Then Will managed to pull it off visually, and he did a brilliant job. Timelines are great when they are not just linear, but also “vertical,” in that they span multiple places and civilizations as they move through time. That’s what I love about this format. On any given date you can see what was going on in Canada, the U.S., Mexico, and the Caribbean at the same time, from multiple peoples’ perspectives. My hope is that this timeline will prompt a kid to take a deeper dive into whatever she finds interesting. Deb Haaland and Sharice Davids got elected just before we sent the book to press—PI-YOW! Debra is a member of the Pueblo of Laguna, and Sharice is a member of the Ho-Chunk nation, and they’re in the book as the first Native representatives elected to Congress. Mr. Schu, you should have asked me about my next book. It hasn’t been announced yet, but I am soooo excited about it. It’s about a bunch of archeological discoveries, and the idea occurred to me as I was researching this project. Love when that happens. 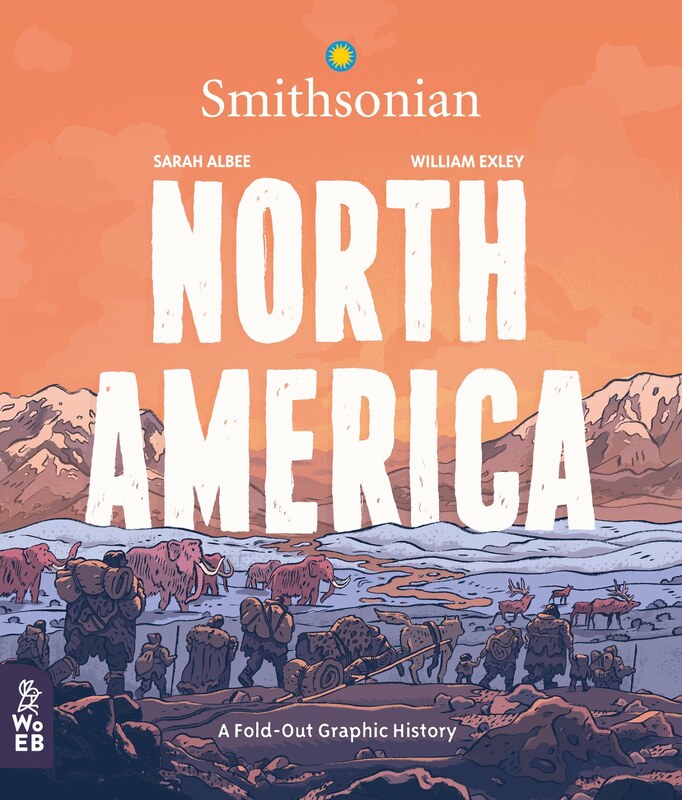 North America: A Fold-Out Graphic History is archeology, anthropology, natural history, and human civilizations, all wrapped up in one cool package. Look for North America: A Fold-Out Graphic History on October 1, 2019.